A single feature indicator system (SFIS) is a signaling system where a representation carries information through a one-to-one correspondence of the “values” taken by its elements to those taken by a set of represented objects. 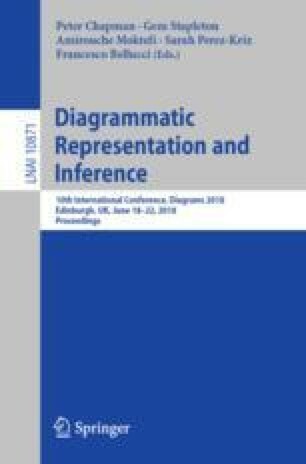 The purpose of this paper is to demonstrate that many common diagrammatic systems are either SFISs or have SFISs as their semantic basis. We take as examples several familiar diagrammatic systems with seemingly diverse semantic systems (tables, charts, connectivity diagrams) and show the fundamental similarities among them that put them all under the concept of SFIS. We then explore different ways in which an SFIS is extended to a new, perhaps more expressive representation system. The paper paves the way to an account of the functional commonality and diversity of diagrammatic systems in terms of the operations that generate them from some basic systems.